Grab your gladiator helmet and off you race. You'll go against the other team in your fabulous chariot. Will you remain standing under pressure, or will your team collapse with defeat! 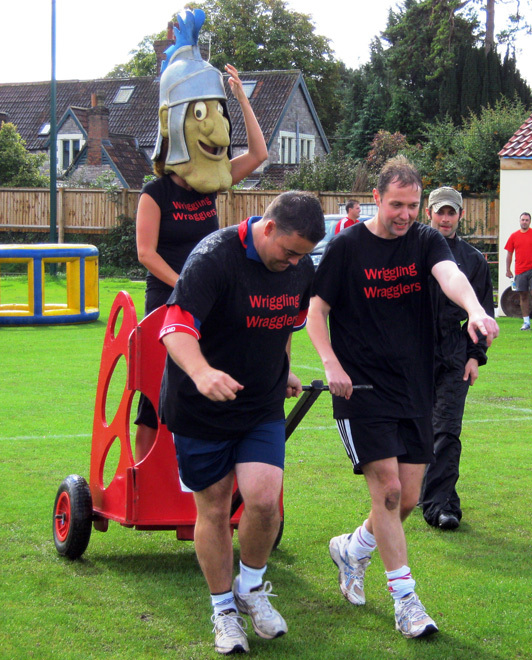 A great addition to your It's A Knockout awayday.